NORTH LITTLE ROCK, Ark. 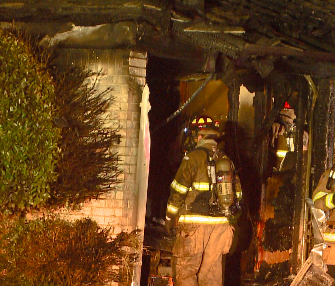 (KTHV) - A home in the Meadow park section of North Little Rock went up in flames Sunday evening. 40 percent of the home was consumed by the fire. Once the fire had been contained, 60 percent of the home was destroyed. According to officials on the scene, there were no fatalities. North Little Rock Battalion Chief Roger Robinson said foul play is not suspected.